Are you worried about online security but don't know where to start? Then this guide is for YOU! 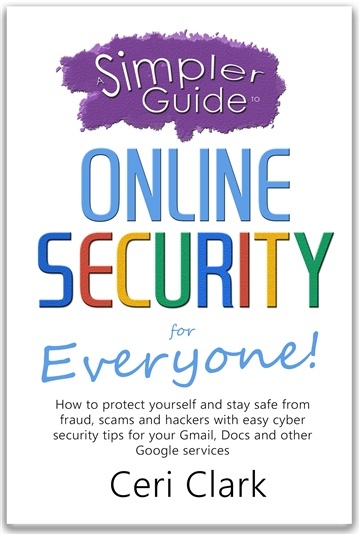 This book will give step-by-step instructions on how to make it very difficult for hackers to get into your Google account or trick you into giving personal information that they need to hijack your life. Use these safety tips by implementing the easy to follow guide. Just a few steps can increase your online safety a thousand fold. 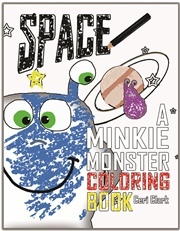 It is part of the Simpler Guide Series available on Amazon. Ceri Clark writes children's activity/story books for ages up to 6 starring Minkie Monster a lovable blue alien who is always trying to find his mischievous friend Bob. She also writes technology guides for the internet including manuals for Gmail, Drive and Calibre.